FUNCTION & EVENT DJ HIRE. PROFESSIONAL SERVICE. FULL DANCE FLOORS. 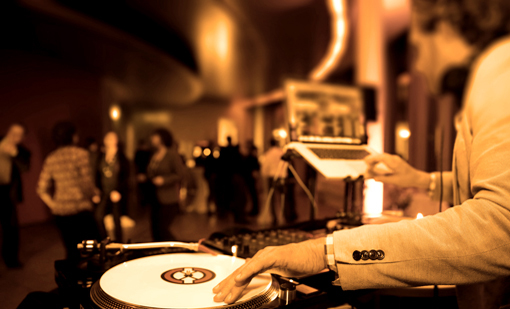 So you've been tasked with hiring a DJ for an upcoming function, conference, Christmas party or event? 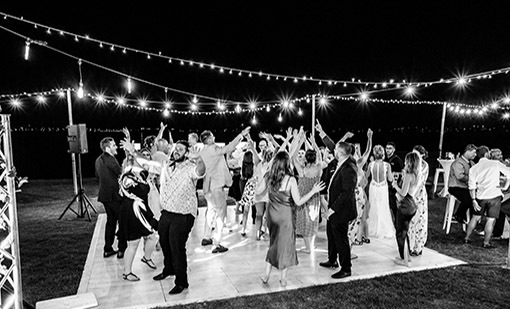 We understand how important the DJ and entertainment is for creating the right atmosphere at any event. We have the experience organising DJs, entertainment and AV equipment at hundreds of corporate events every year. Simply get in touch and we'll ensure everything is sorted to create your perfect event. Complete DJ packages start at $650 inc GST, including a full AV setup and all our helpful planning assistance. On the night we'll have a set-up of the highest standards included in the base package. 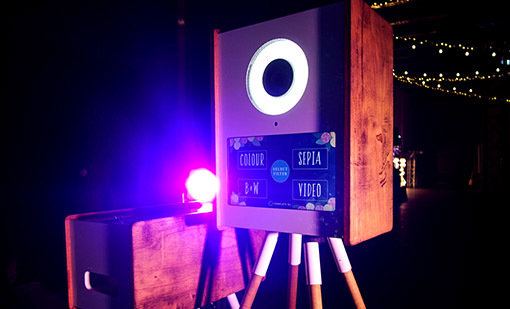 Depending on the size and number of guests attending, we can also provide a custom Audio-Visual package to ensure high quality sound and lighting production. Whether you're organising a 30 person dinner, an 800 person Christmas function or anything in between, we'll provide the right AV set-up options to suit the occasion. We have a team of highly talented musicians, ready to add that special atmosphere to any occasion. 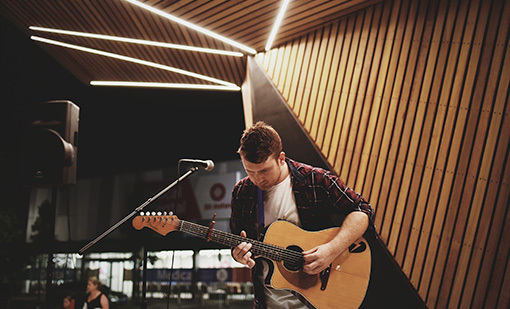 Whether it be an acoustic solo artist for the cocktail hour, an acoustic duo for during dinner, or a rocking band for the dance floor we have a range of artists to suit every crowd. Packaging our live acts with our DJs means you get the best of both worlds and a truly engaging experience on the night. Hiring one of our premium photobooths for your Corporate Funciton or Event adds a whole bunch more fun and excitement for everyone! Your guests will walk away with a souvenir of the event with you custom logo and will have so much fun making memories that will last a lifetime. You'll also get a digital copy of all the pictures after the function. Complete DJ has an extensive range of AV equipment. Our AV team can supply sound systems of any size, wireless microphones, staging, draping, LED TVs, lecterns, stage lighting, decorative lighting, live sound mixing, trussing, headset radios and more. We have a large inventory of professional equipment ready to be installed by our AV technicians for functions with up to 1500 people. 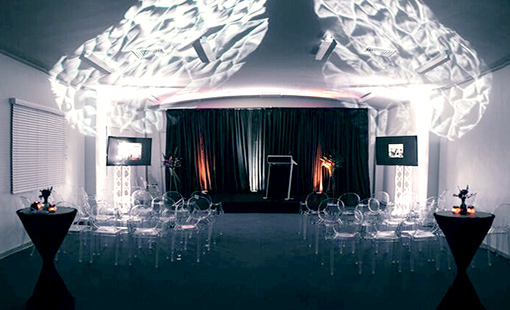 With our years of experience in the industry we can take the hassle out of your AV requirements with cost effective solutions that take your event to the next level. “Feedback for the night in one word … AMAZING! Everyone was super impressed, the last few years our DJ’s have been a bit of a flop however Saturday night DJ Damo was perfect. We will use Complete DJ for all our Christmas parties moving forwards. We were all extremely impressed. I’m glad we went with the premium (bigger) package. "Firstly thanks so much for your DJs at our party, I'm sure you know it all went off like a hoot. Music was perfect, everyone had a great time, the dance floor was well utilised! We would love to book for next year." “Hi Gavin, Thanks so much your help with our event! We were really happy with the DJ and would love to book again for our upcoming awards night. Thanks! Read what some of our satisfied clients have had to say.